Is there a special kind of Alaska adventure trip you have in mind? Do you have a group of family, friends or colleagues that want to design their own perfect trip? You’ve come to the right place. Each year, more than half our trips are designed and executed as a customized experience for a group of participants. Sometimes the custom trips just means running one of our classic expeditions as a private trip on dates of your choosing. Other times that means that we tailor a multi-week, multi-sport package just for you, with transportation, lodging and activities all included so you don’t have to worry about a thing. Whatever it is you are looking for, we can make custom trips happen! 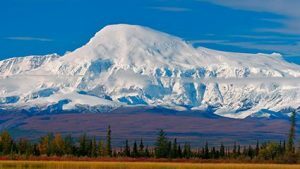 All of the spectacular trips listed in this website can be run as your own private Alaska adventure trip provided group size minimums or the financial equivalent are met. 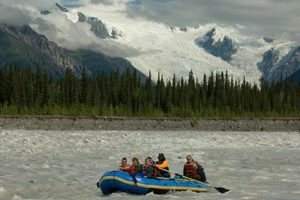 We can tweak any of the itineraries to meet your needs and desires or just start from scratch with your ideas and our Alaska expertise. Please contact us with your desires. 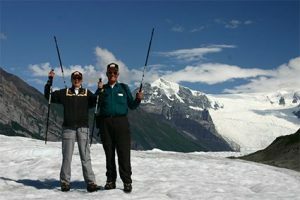 We look forward to helping you plan and execute your dream Alaska adventure vacation! Come see what it was like to live and work in this remote wilderness as you tour the town site with one of our knowledgeable guides; listening to tales of lucky fortunes, tenacious frontiersmen, and tragic endings. 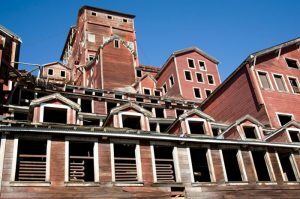 And, you’ll even be able to explore INSIDE the 14-story concentration mill and several other industrial buildings as our guide service holds the exclusive concession with the National Park Service to enter them. Difficulty : All Ages and Abilities Welcome! When we picture the perfect setting for a base camp or backpacking trip, the alpine tundra of Skolai Pass is right at the top. To the south, this remote valley is flanked by the exotic Hole-in-the-Wall Glacier with its seven icy tongues. To the north, the mighty Frederika Glacier lumbers down towards Skolai Valley. To the east, lofty Chitistone Pass is cloaked in wildflowers, dotted with pristine alpine lakes. All of our favorite elements of Alaska rolled into one great location. 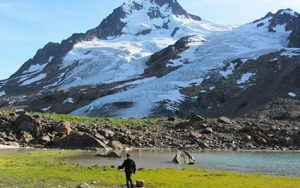 If you want to get out and experience a bit of backpacking in Alaska but don't have time for one of our longer expeditions, this overnight adventure is perfect for you! 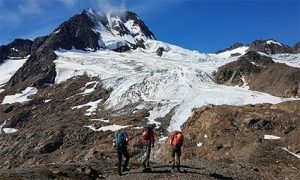 An extended version of our popular full-day glacier hike, this overnight adventure gives you two full days to explore the crevasses and ice caves of the Root Glacier, as well as the tundra covered slopes of Donoho Peak. A great taste of backpacking the Wrangells in a "small-sampler-size"! A great stepping stone to Denali; Mt. 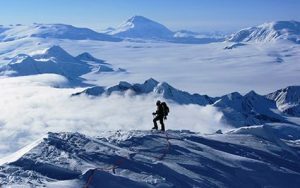 Bona poses similar challenges: arctic weather, high elevation, and heavy glaciation. Bona, however offers more remoteness, more solitude, and less likelihood of altitude-related illness. 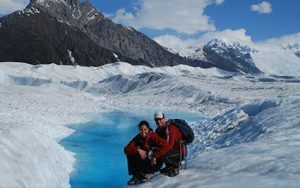 Our half day Root Glacier Hikes are accessible for anyone who can hike 5-6 miles, and you will see amazing glacier features such as blue pools, waterfalls, canyons, crevasses and more. 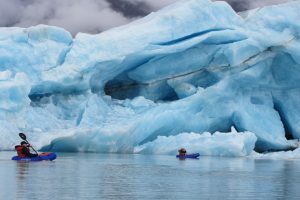 Best Glacier Hiking in Alaska! Located in a valley surrounded by the rugged towering peaks of the Chugach Mountains, Iceberg Lake is know for it's excellent day hiking and impressive mountain views! With incredible views right form the airstrip, they only get better as you explore up and down the valley with the numerous day hiking opportunities! 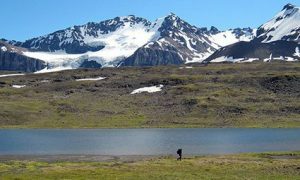 Come experience the wild beauty of Alaska while backpacking with us on the Glacier and Tundra Exploration trip. 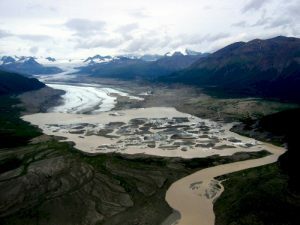 The Wrangell St. Elias is home to massive glaciers, lofty mountain peaks, and lush, tundra-carpeted valleys. 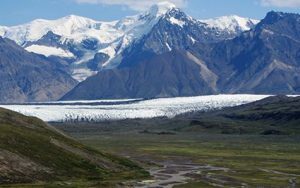 This trip gives you a great sampling of the variety of terrain found in the park as you travel through one of its most breathtaking glacial valleys. At 16,390 ft. (4,995 m), Mt. 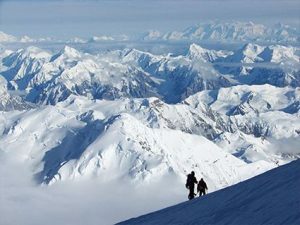 Blackburn is the tallest peak in the Wrangell Mountains and the fifth highest peak in the United States. 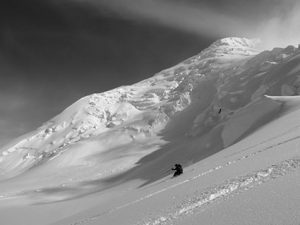 A challenging peak, Blackburn is ideal for the mountaineer looking for a "full-on" Alaskan peak without having to take a month away from family and work. 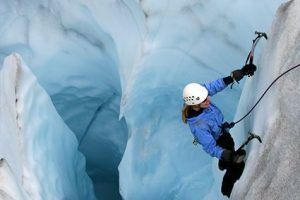 If you want to experience the thrill of ice climbing in Alaska, this is the trip for you. Set amidst the stunning beauty of the Wrangell St. Elias National Park, the Root Glacier offers the perfect venue for people of all ages and skill levels to participate in this exciting and rewarding sport. 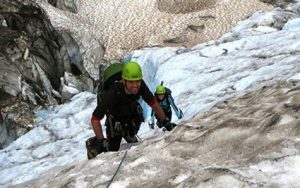 Try your hand at ice climbing in the remote Alaska wilderness of the Chugach Mountains on this 4-day base camp and ice climbing trip! 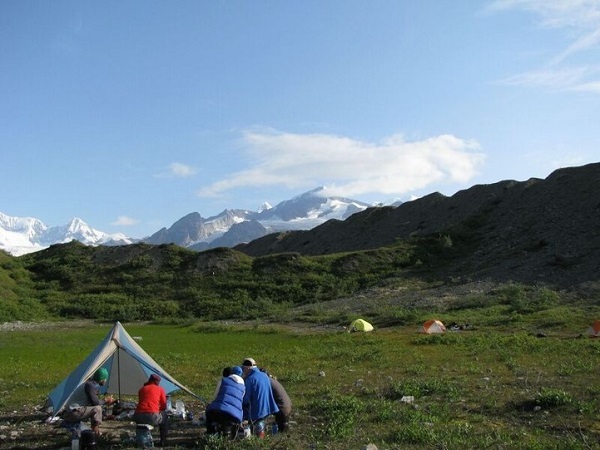 Perfect for those who want to try a new sport and explore the rugged wilderness of Wrangell-St. Elias National Park! If you’re looking for a shorter trek, but still want to experience the deep backcountry of the Wrangell St. Elias National Park, our Upper Chitistone Goat Trail trek is for you! Located in the heart of the Wrangell St. Elias National Park, the route thru Chitistone Canyon offers some of the most spectacular backpacking in Alaska, if not the world. 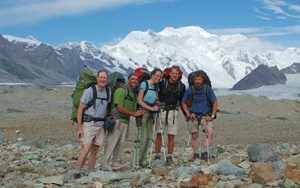 This course is a great Alaska mountaineering course for people of all skill levels to push their own personal limits, learn new skills, and spend some quality time in the splendid Alaskan wilderness. 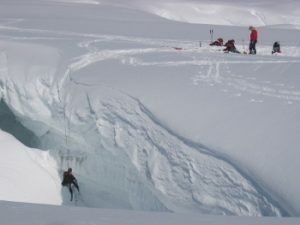 Spend a full day on the Root Glacier exploring features such as crevasses, blue pools, canyons, waterfalls, moulins and caves. 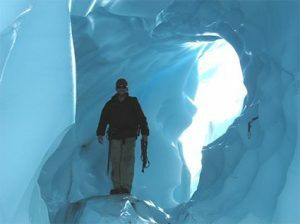 Hike to where Donoho Falls pours under the cracking edge of the glacier and/or explore the Jumbo Creek ice cave, where you will be surrounded by blue ice. 8-10 miles of hiking in approximately 8 hours. Best day hike in Alaska! 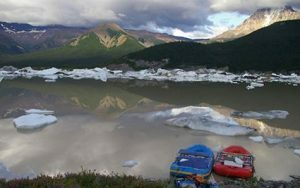 Raft three Alaskan rivers, get picked up by bush plane, and enjoy a flightsee on the way back. Expect incredible views and a day full of adventure!